In-Flight Loss of Control Accidents in General Aviation - Earl F. Weener, Ph.D.
Earl F. Weener, Ph.D. took the oath of office as the 41st Member of the National Transportation Safety Board on June 30th, 2010. He brings to the Board his experience as an industry executive, long-time safety advocate, flight instructor, pilot, boat captain and aerospace engineer. He is a tireless safety advocate who works to promote collaborative efforts between government and industry believing that the partnership approach is often more effective, less burdensome and quicker than a regulatory solution. During his 24 years with Boeing, he rose from engineer, integrally involved with cutting-edge commercial cockpit design, to executive. In D.C., he managed Boeing’s Engineering and Technical Government Affairs. Returning to headquarters in Seattle, he served as Chief Engineer of Airworthiness, Reliability Maintainability and Safety and then Chief of Systems Engineering. His responsibilities included the management of a staff of engineers and technical experts numbering more than 450 employees. 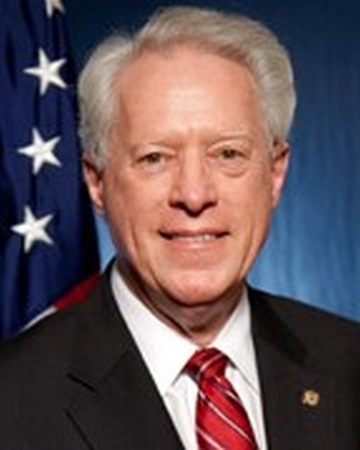 After leaving Boeing, he served as Foundation Fellow for the Flight Safety Foundation. Within this role, he organized and executed multiple national and international collaborative government and industry programs. For his work, he was recognized with a 2005 Honeywell Bendix Trophy for Aviation Safety and was appointed to serve on the Flight Safety Foundation’s Icarus Committee and its Board of Governors. As a Board Member, Dr. Weener has focused on safety improvements in business and general aviation for both fixed wing aircraft and helicopters. He represents the Board at meetings of the General Aviation Joint Steering Committee and the Commercial Aviation Safety Team, groups of industry, government, safety and other stakeholders working together to develop cooperative solutions to safety concerns. He also worked with commercial motor vehicle groups, cruise lines, and railroads to provide safety messaging to their members. He has represented the Board on the scene of major accident investigations, including the Metro North Railroad commuter train derailments in Connecticut and New York, 2013, and the collision between a duck boat and motorcoach carrying a group of exchange students in Seattle, Washington, 2015. He has participated in numerous Board meetings, often adding his own concurring or dissenting statements to Board opinions. In addition to his education and career, Dr. Weener has first-hand transportation experience. He holds licenses as a flight instructor and charter pilot. He keeps his own plane, a Beechcraft Bonanza, and flies whenever possible. He is also a boating enthusiast. In 2000, he received his United States Coast Guard Master’s License. After commissioning a specially designed steel hull trawler, he lived aboard for several years. His travels included the East Coast Intracoastal Waterway, the Great Lakes, the waterways from Chicago to Mobile, Alabama, the West Coast, as well as the inside passage to Alaska. As a young man, he held a commercial driving privilege and drove a delivery truck. Dr. Weener, a Michigan native, worked as flight instructor to put himself through college and graduate school, while attaining scholastic honors including membership in Tau Beta Pi, a National Engineering Honor Society, and Sigma Gamma Tau, a National Aerospace Engineering Honor Society. He earned his Bachelor’s, Master’s, and Doctorate degrees from the University of Michigan. He and his wife Linda currently reside in Northern Virginia.